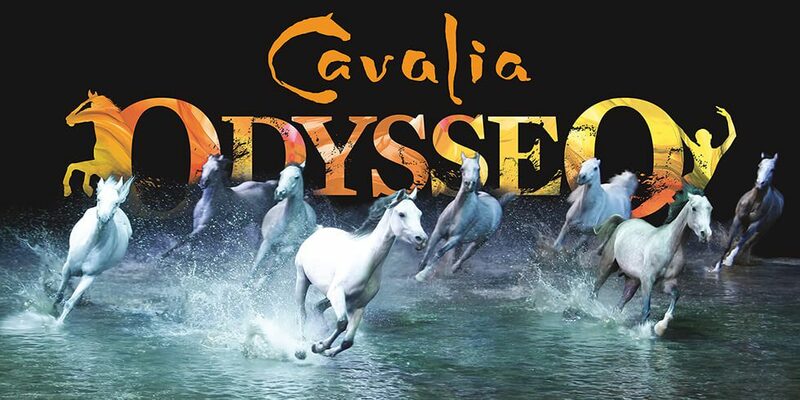 Cavalia Odysseo: Curious about the upcoming show under the big white top? We dug in to find out. If you’ve seen the billboards around town, or driven past the white big top tent structure across from Opry Mills recently, you may be wandering what the new spectacular in town is all about. We’ve been curious. We decided to take a look into it and check it out. Cavalia Odysseo is a $30 million touring production​ which includes 65 gorgeous horses, along with 50 multi-talented riders, acrobats, dancers and musicians.​ ​It is the brainchild of Norman LaTourelle (co-founder of Cirque Du Soleil) and partner ​Dominique Day and they have have brought their spectacular under the white big top to the Opry Mills area in Nashville, TN (just 23 minute drive from Durham Farms) for performances that run from Wednesday August 30th through Sunday, September 10th. Even the White Big Top itself, where “Odysseo” is staged, is a wonder. Standing 125 feet tall, the structure is roughly the size of an NFL football field.​ When visitors enter, they are immediately transported into a lavish yet comfortable environment worthy of any permanent theatre. Ticket prices (starting at $39.50) and seating selections can be booked online: here , by phone at 1-866-999-8111​​ (​call center is open daily from 10​am to 10​pm​​ – Central Time)​​, or directly from the box office (located at 2750 Pennington Bend Road, Nashville, TN 37214​​)​.